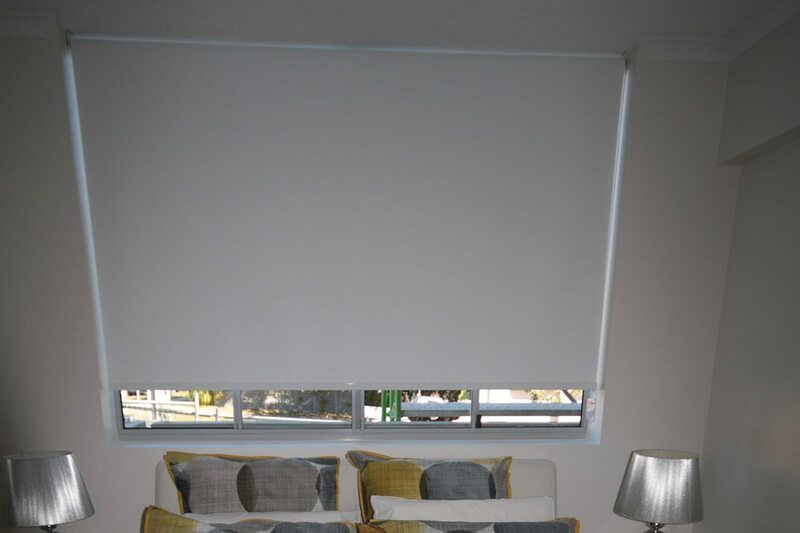 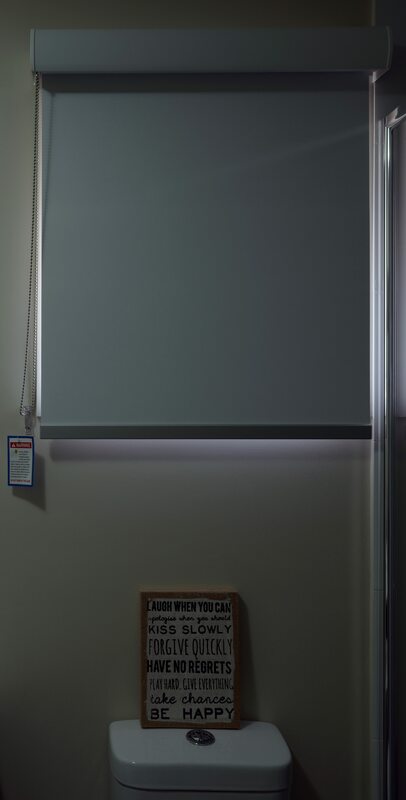 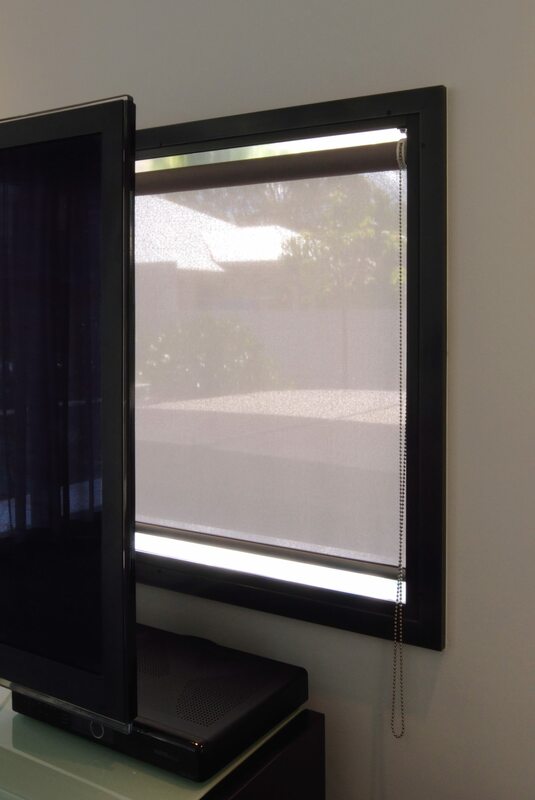 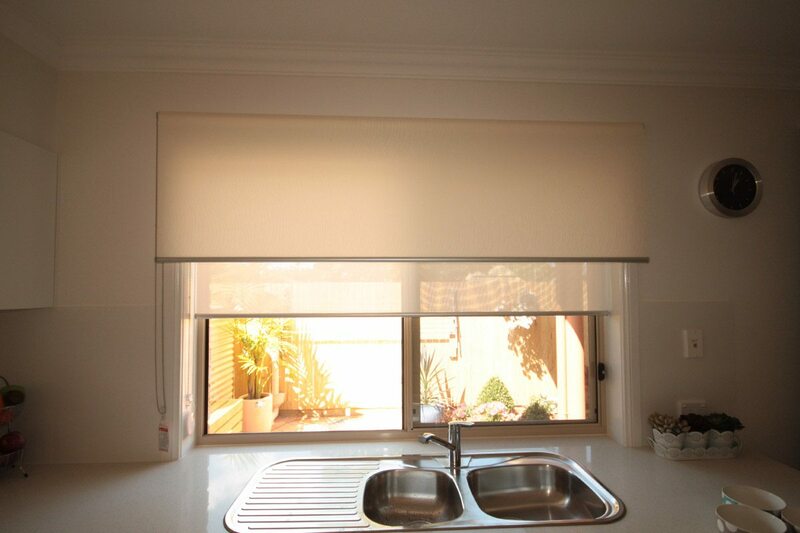 Sun control roller blind made from sun control fabric. 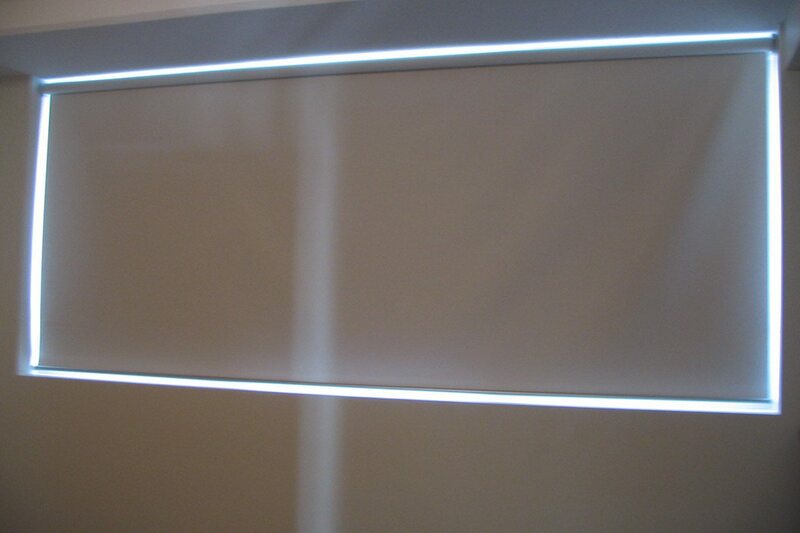 Roller blind installed in reveal. 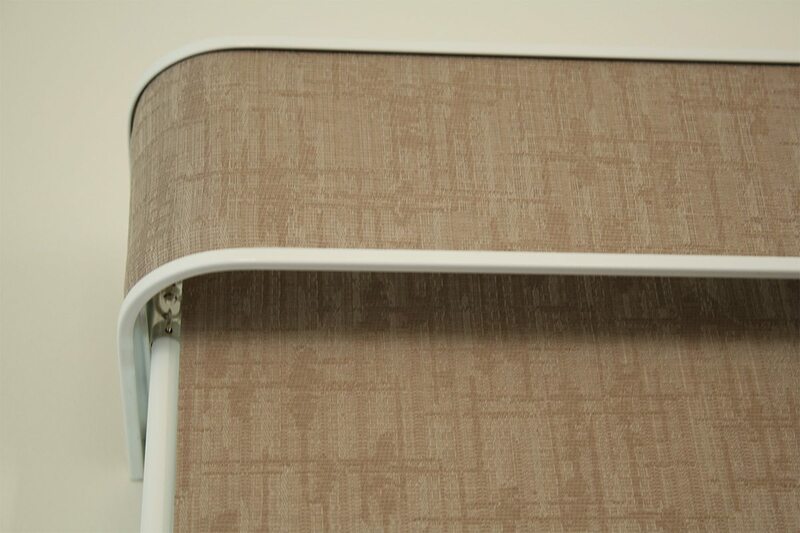 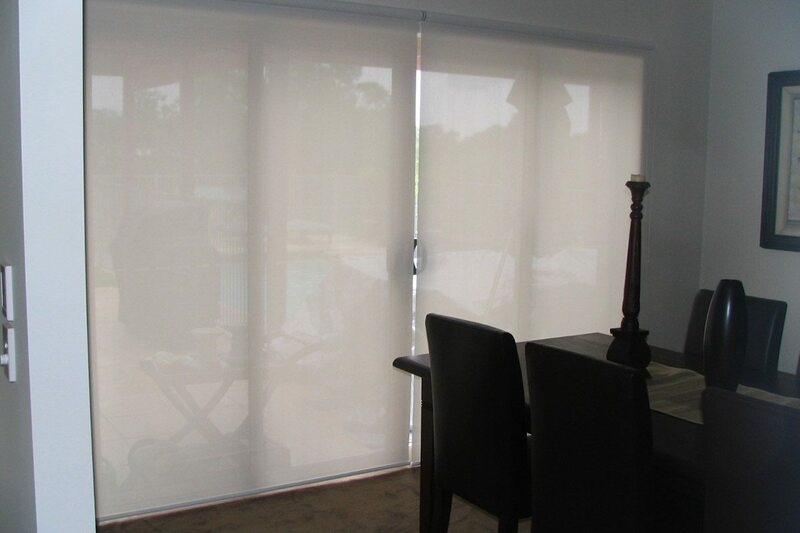 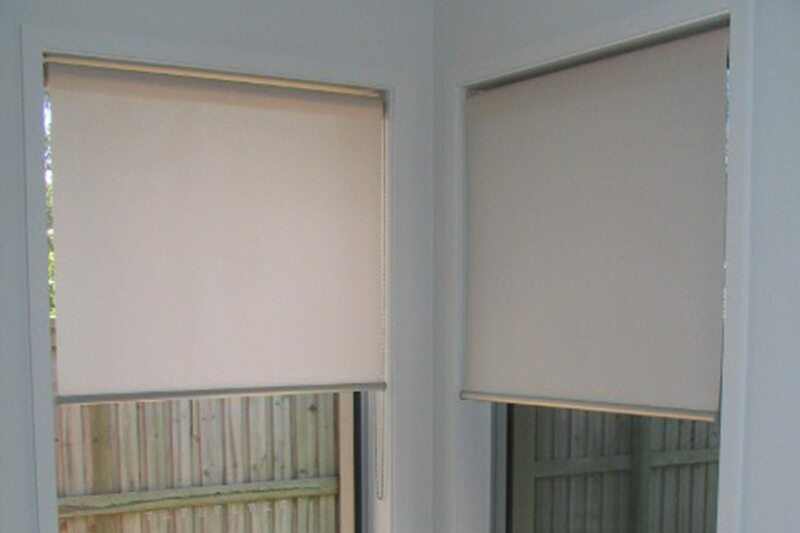 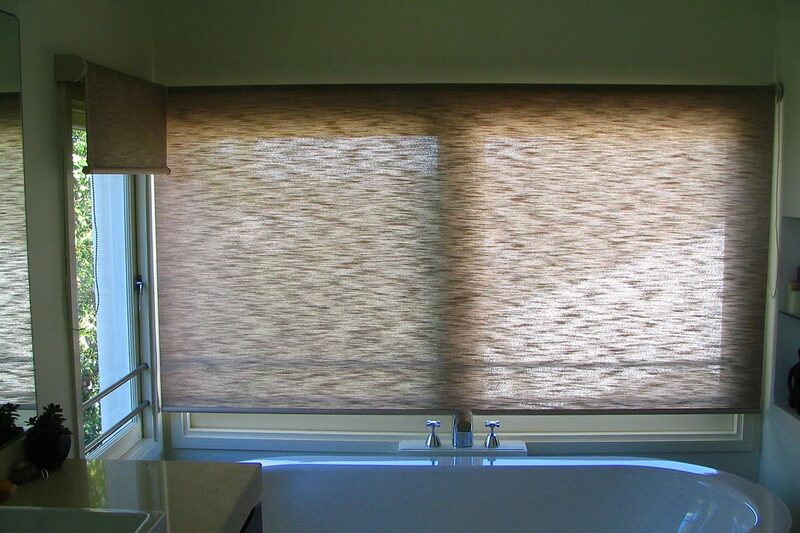 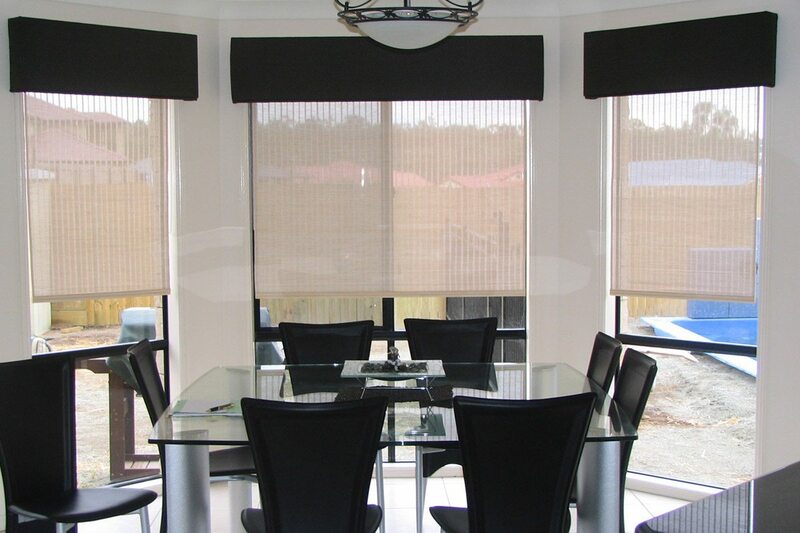 Bonded Holland/Roller blinds allow almost any fabric to be made into a custom blind. 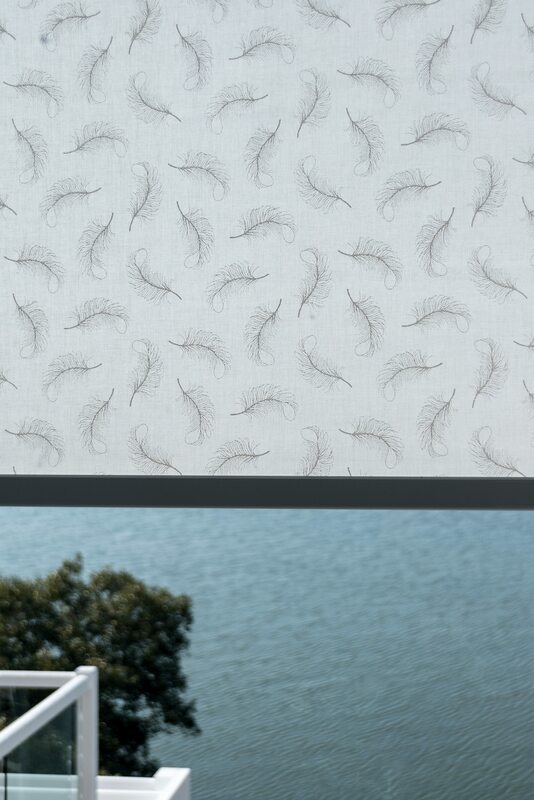 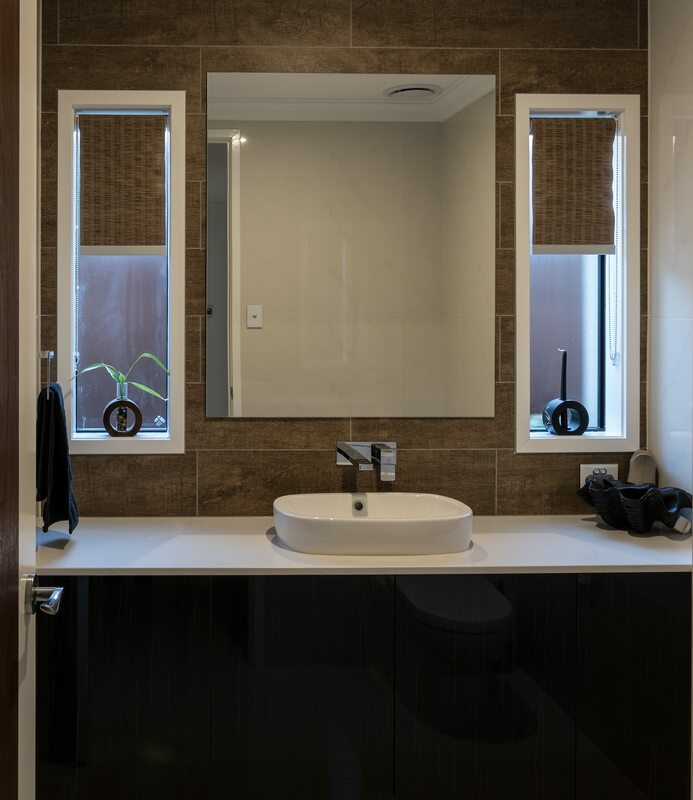 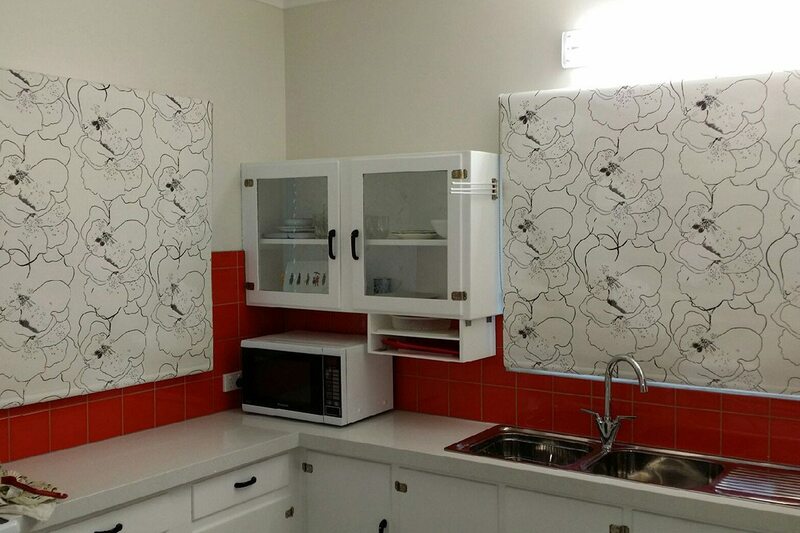 This unique choice of fabric ties in perfectly with the customers existing furnishings. 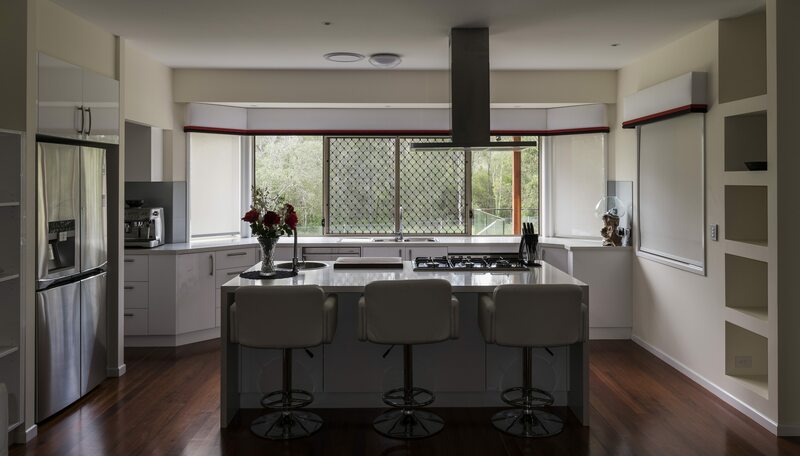 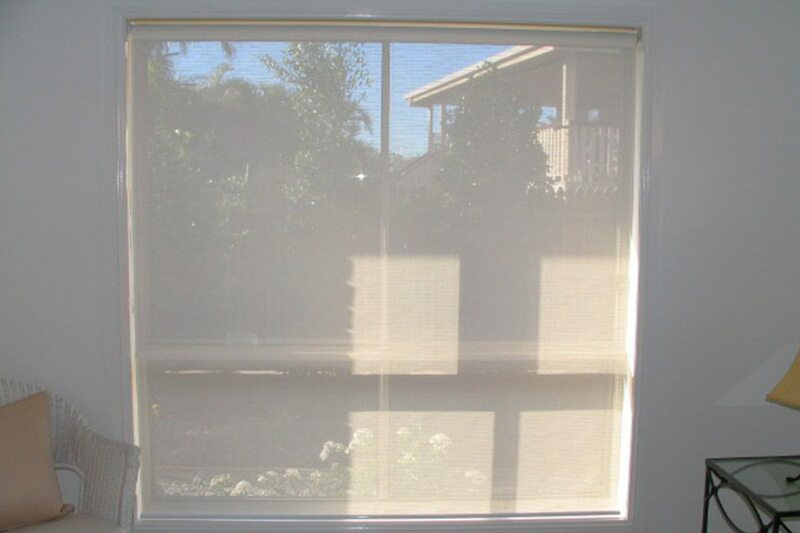 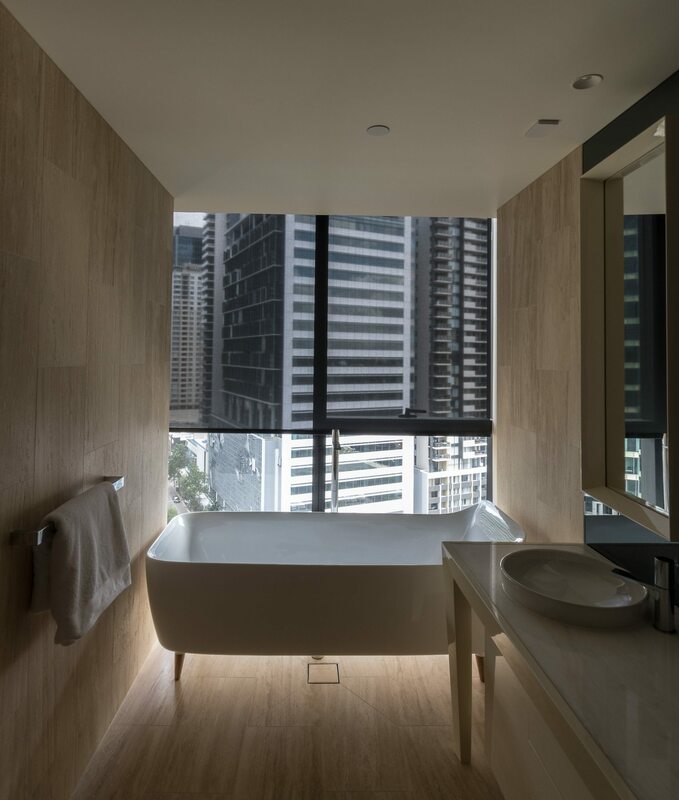 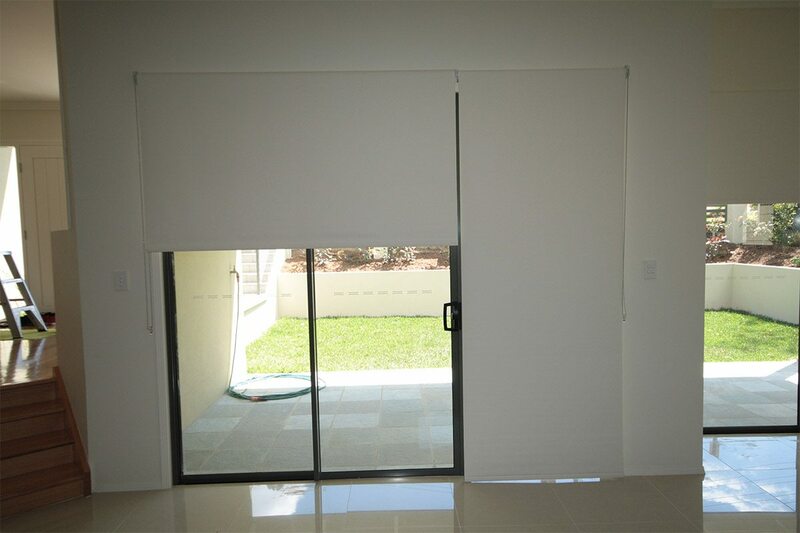 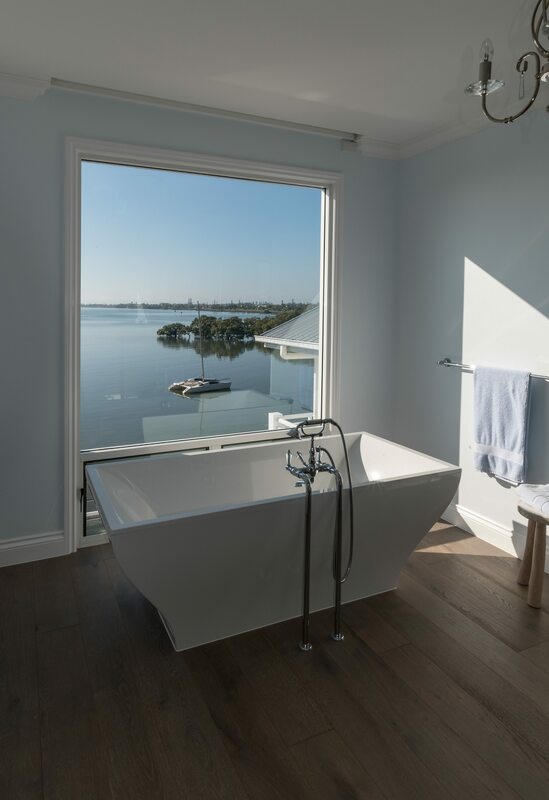 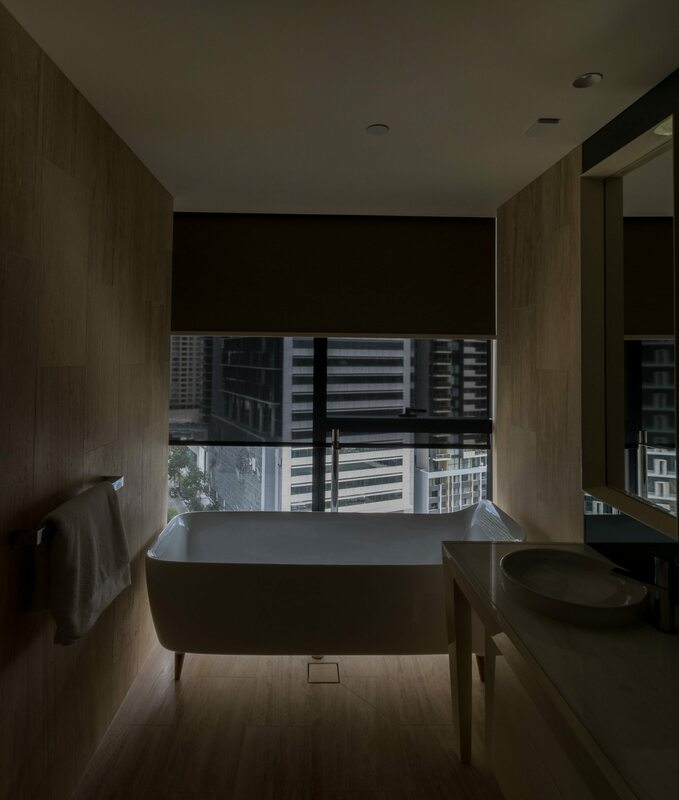 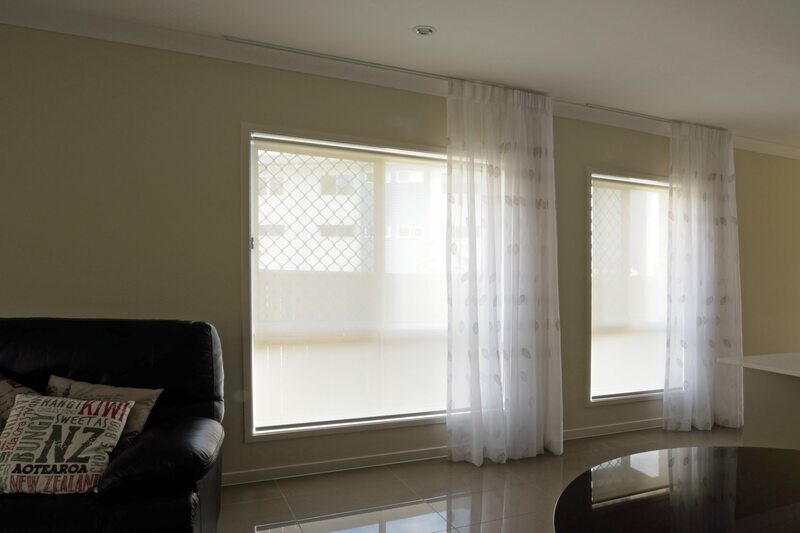 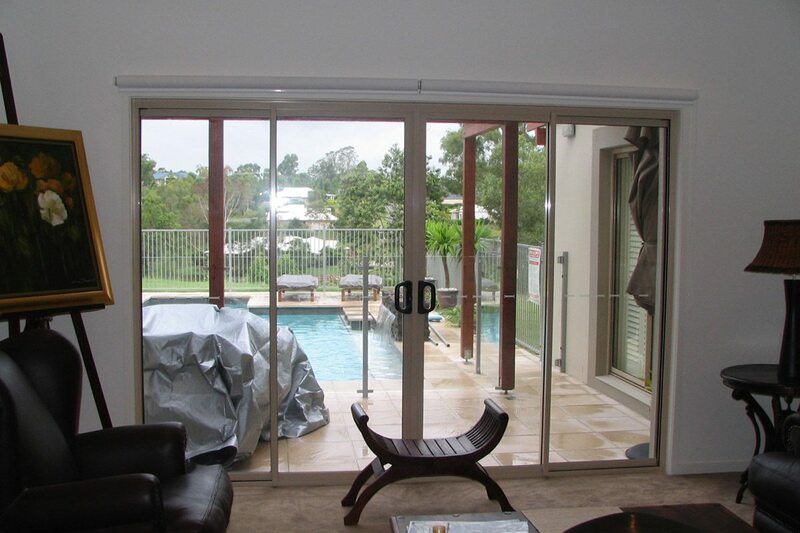 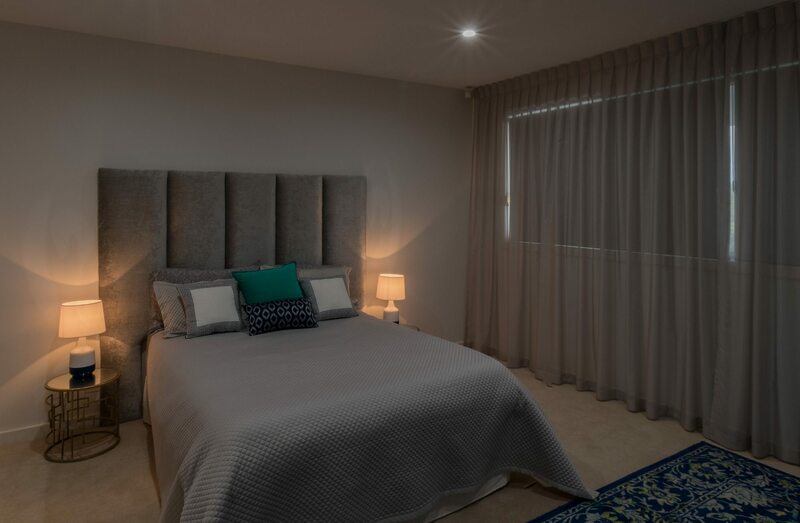 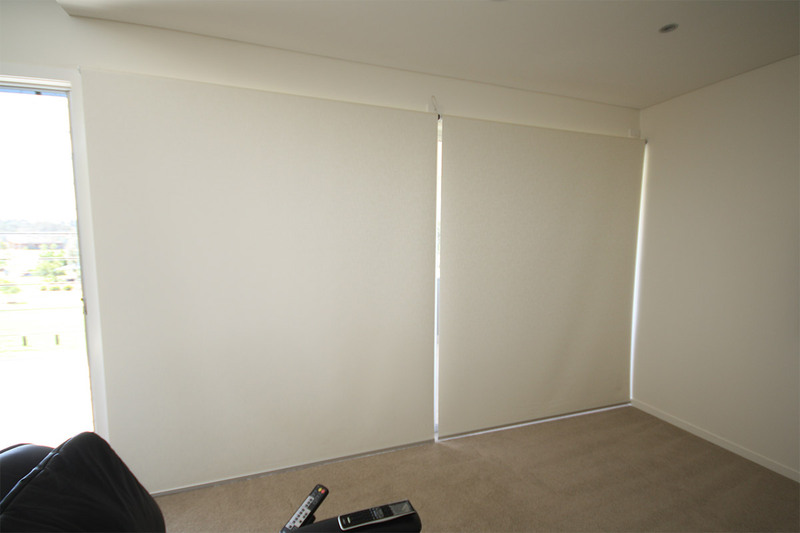 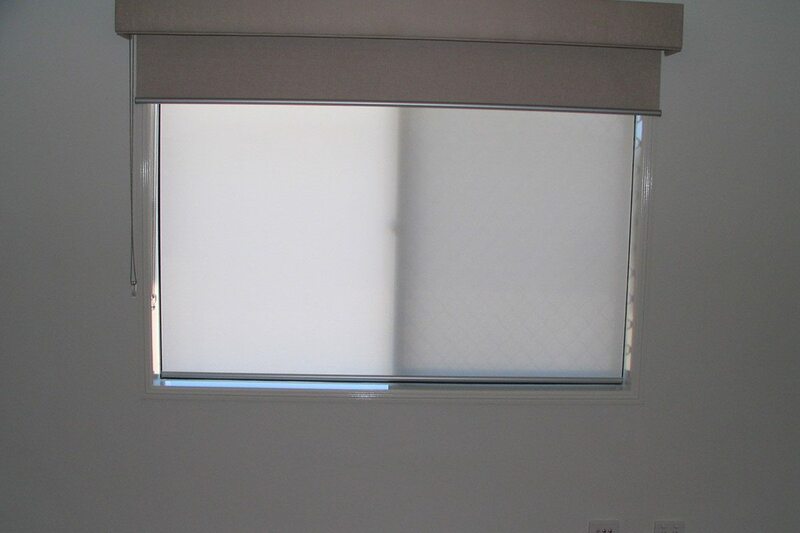 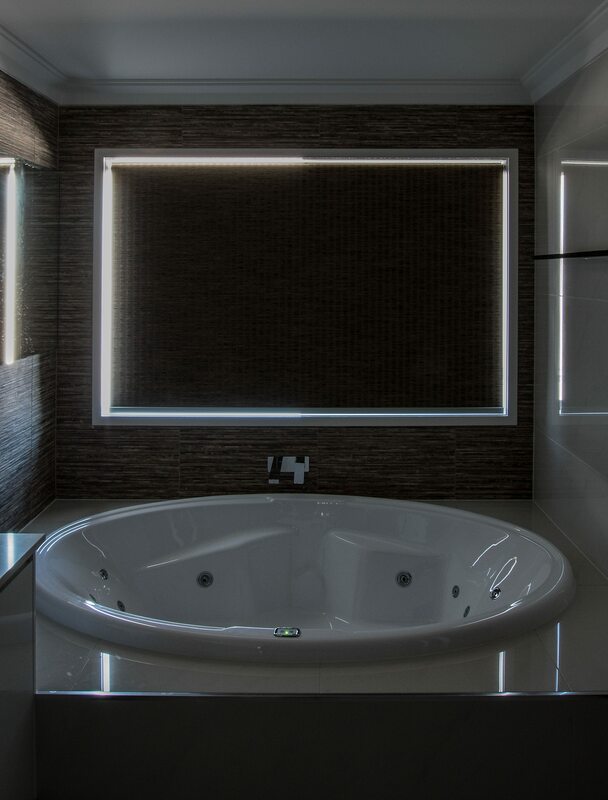 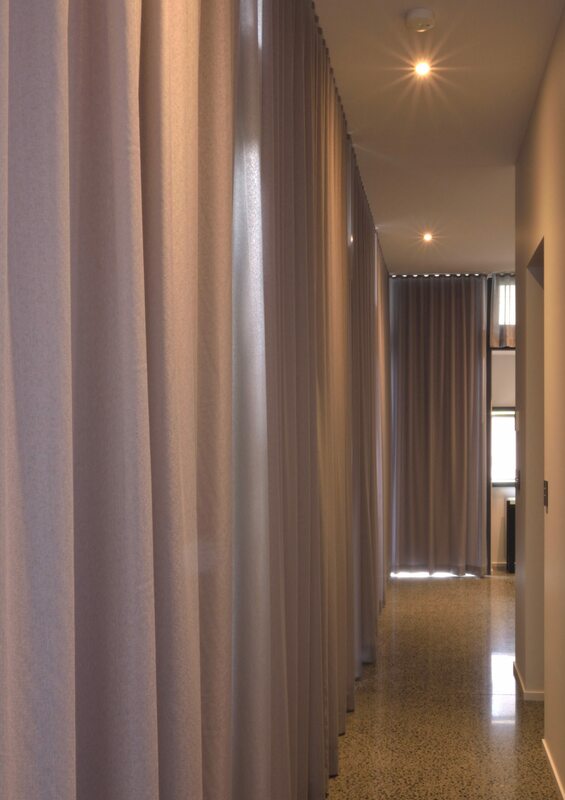 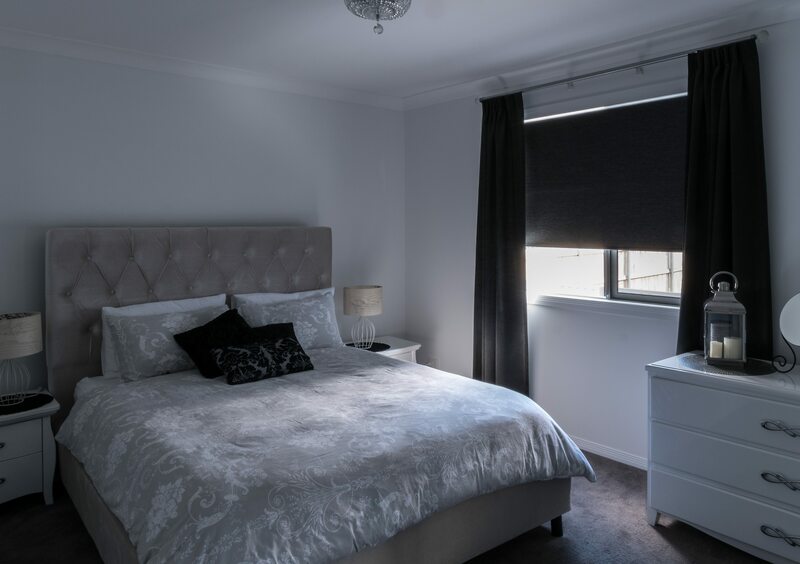 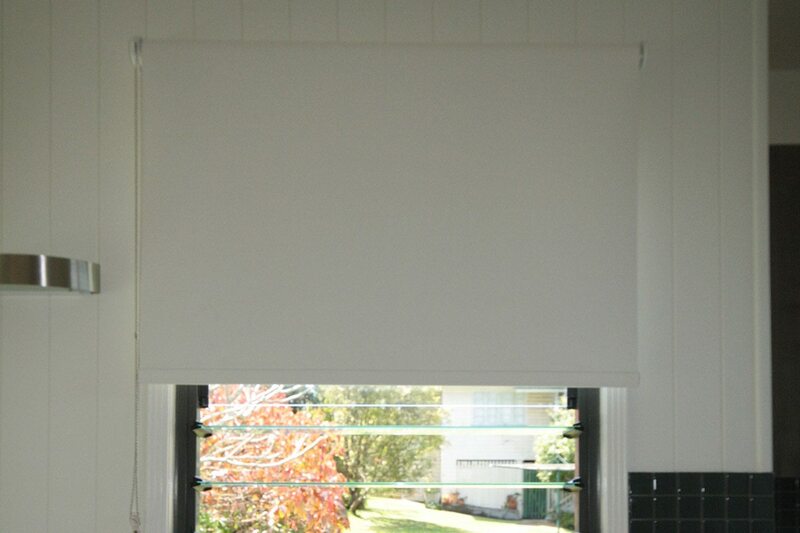 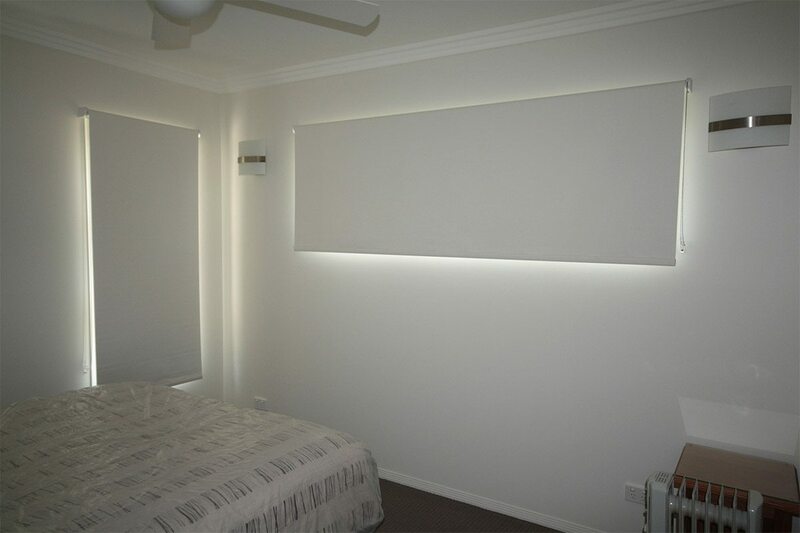 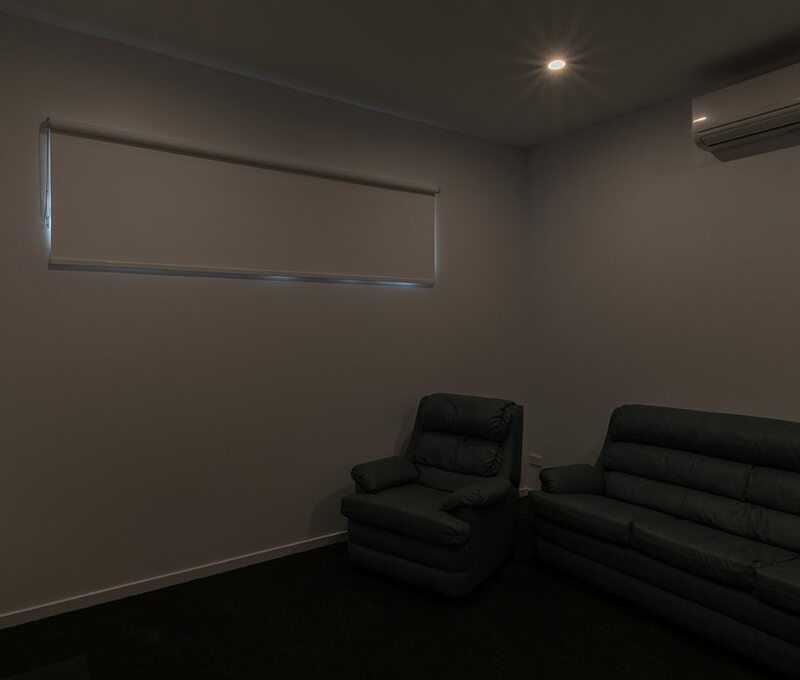 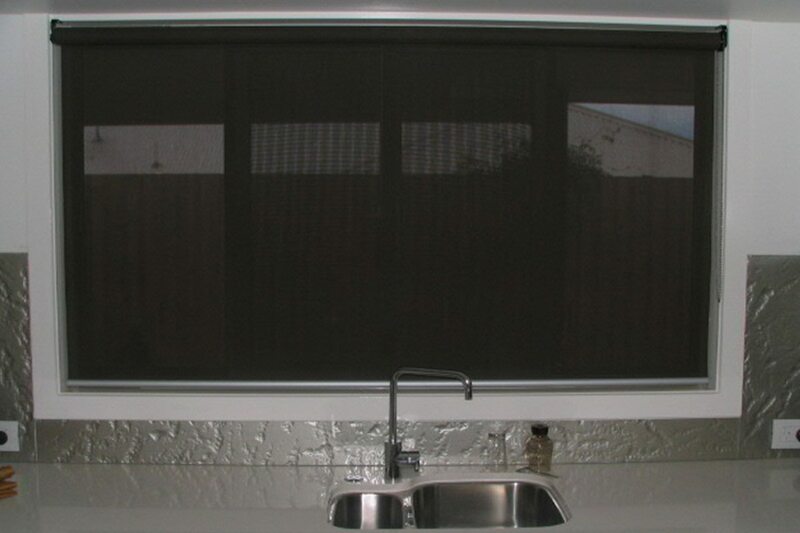 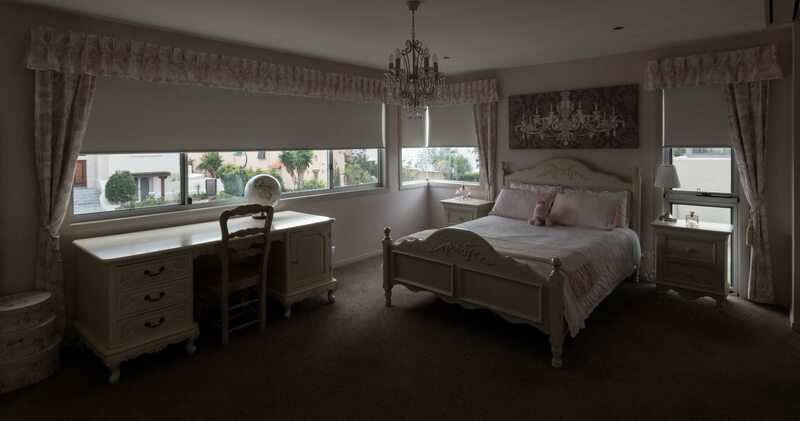 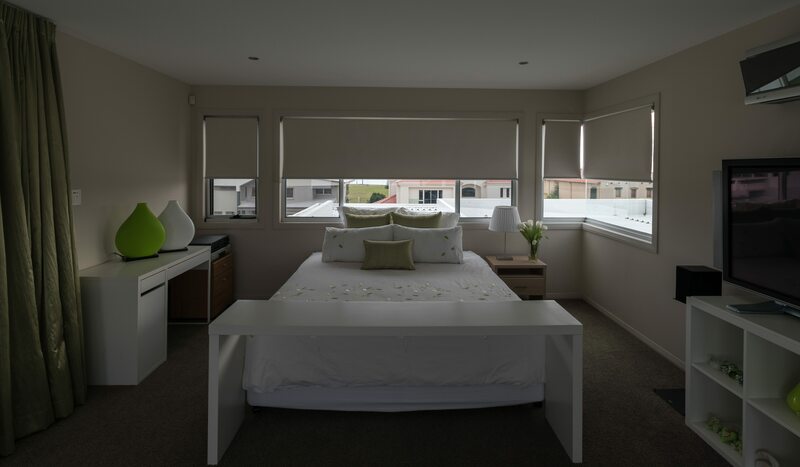 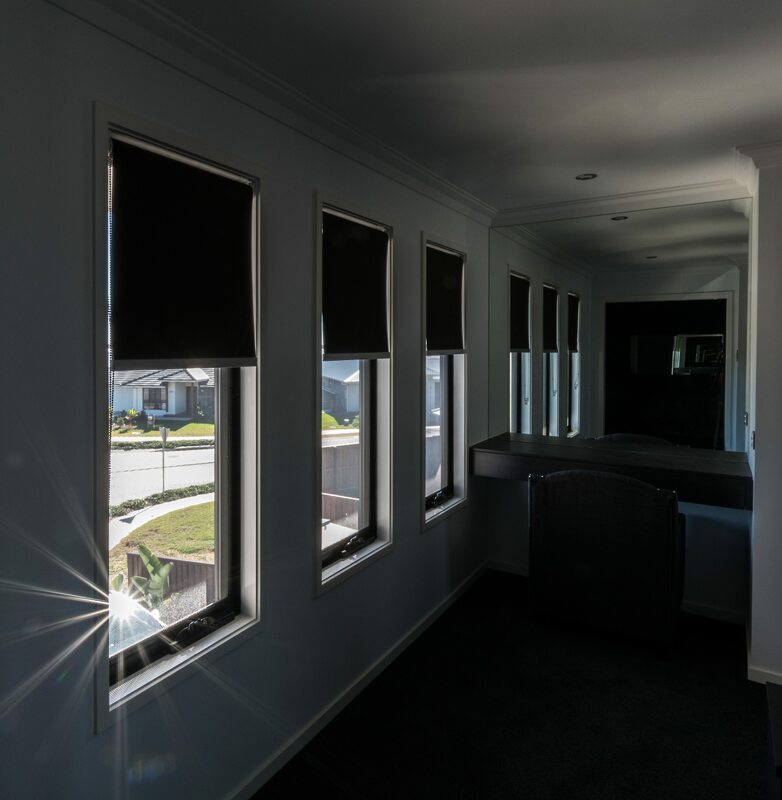 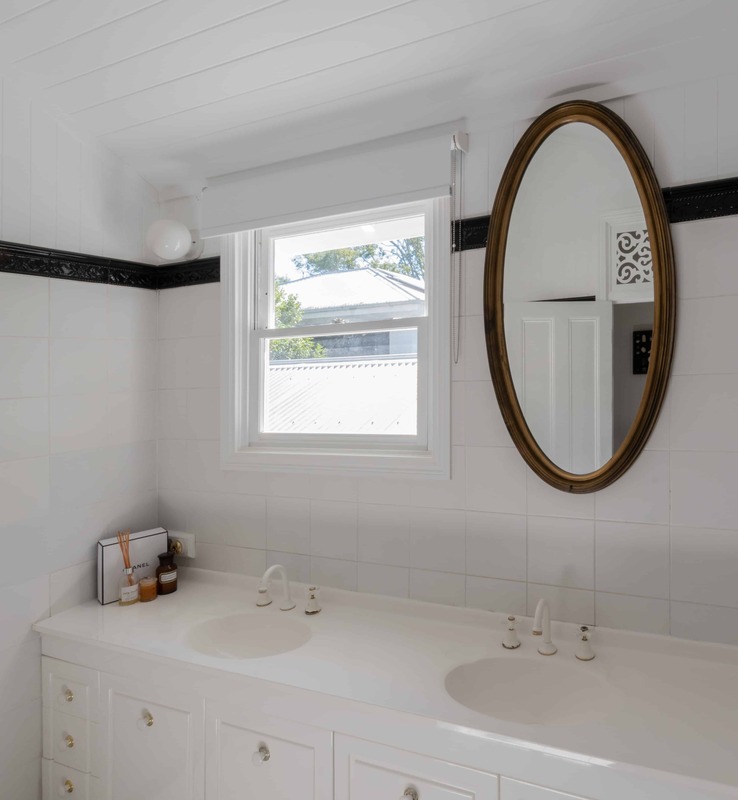 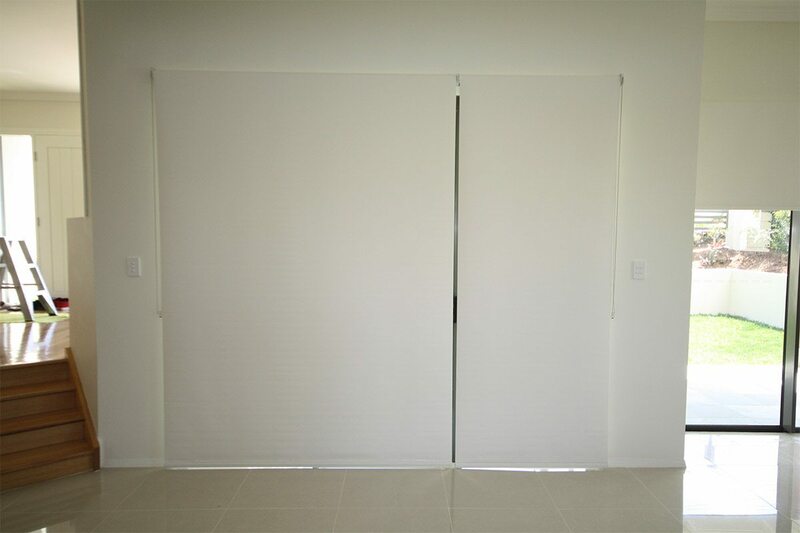 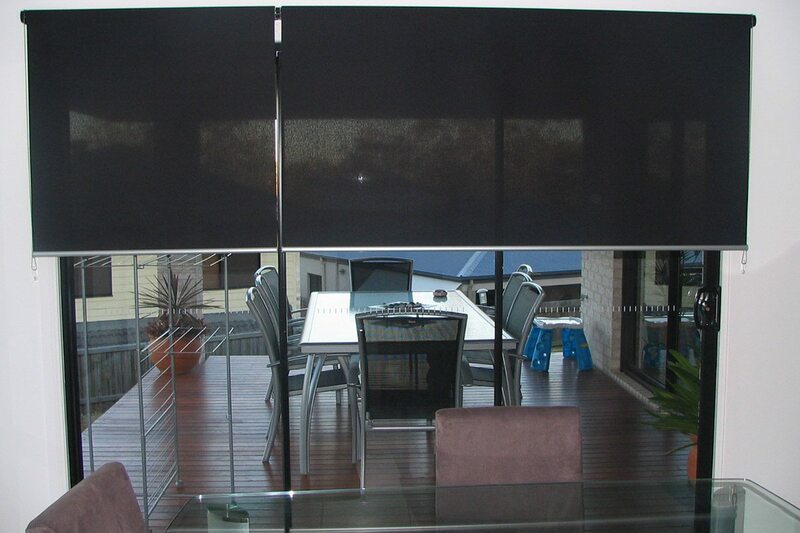 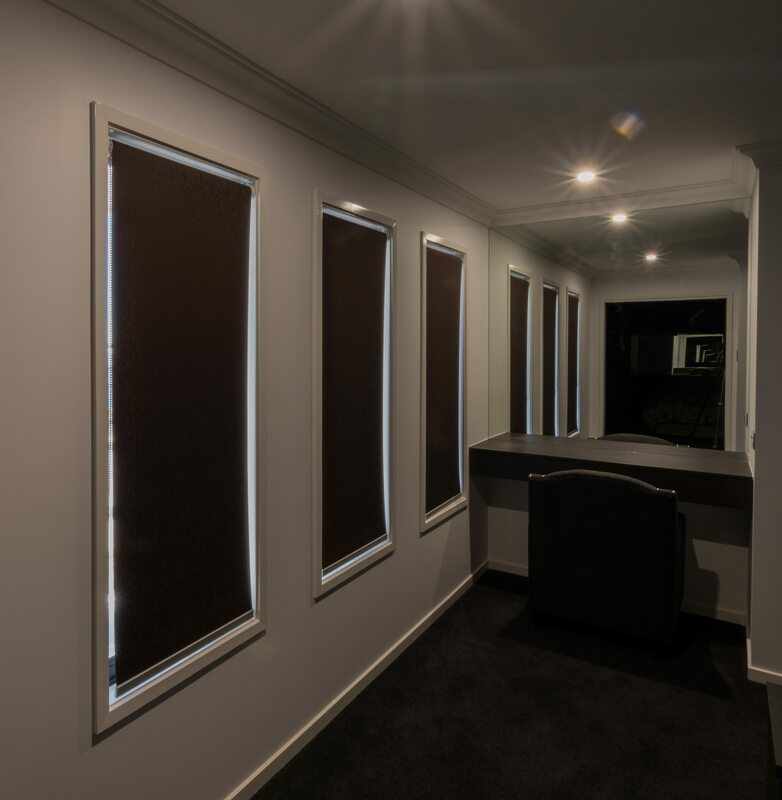 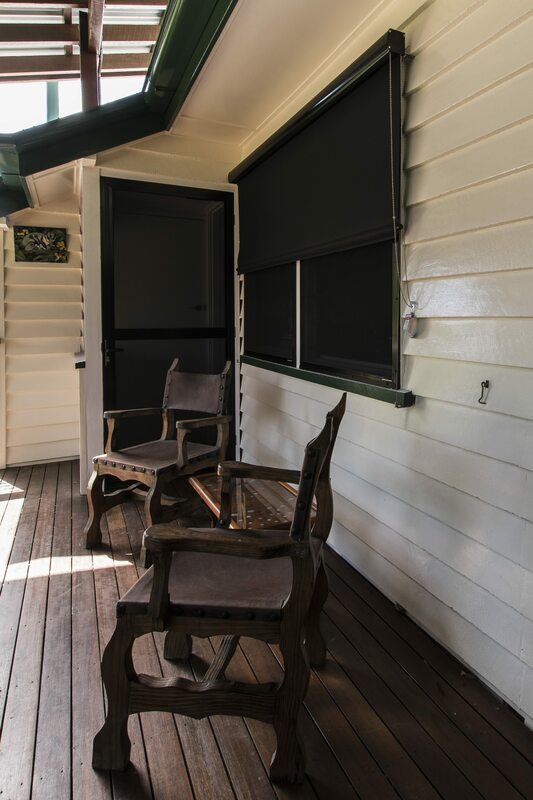 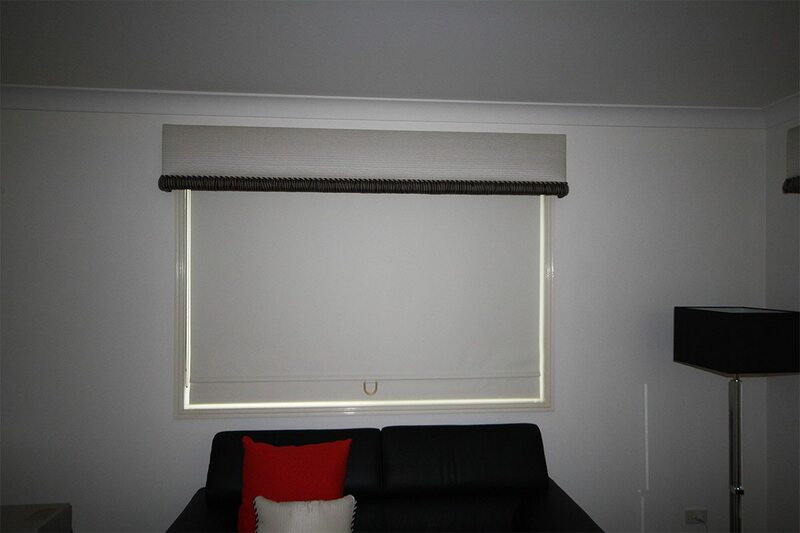 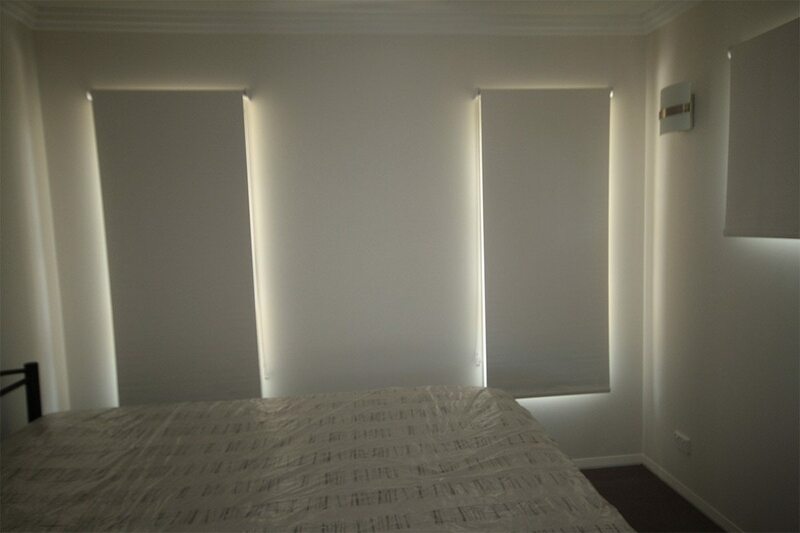 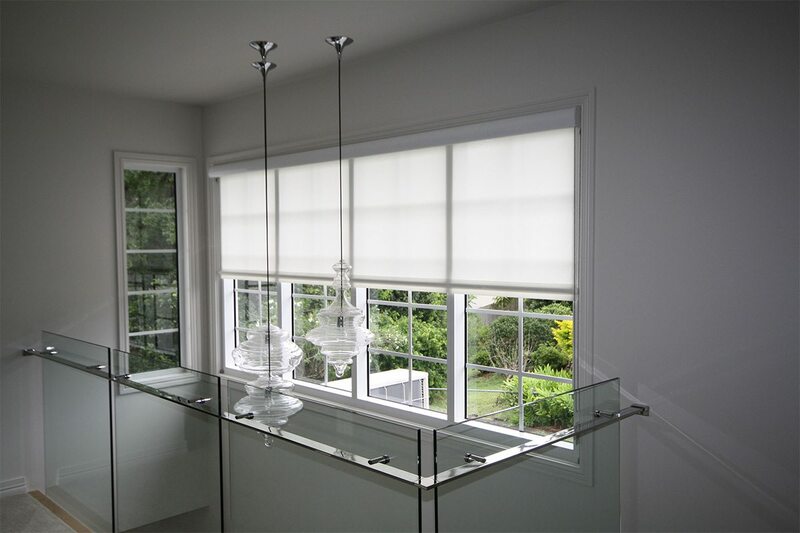 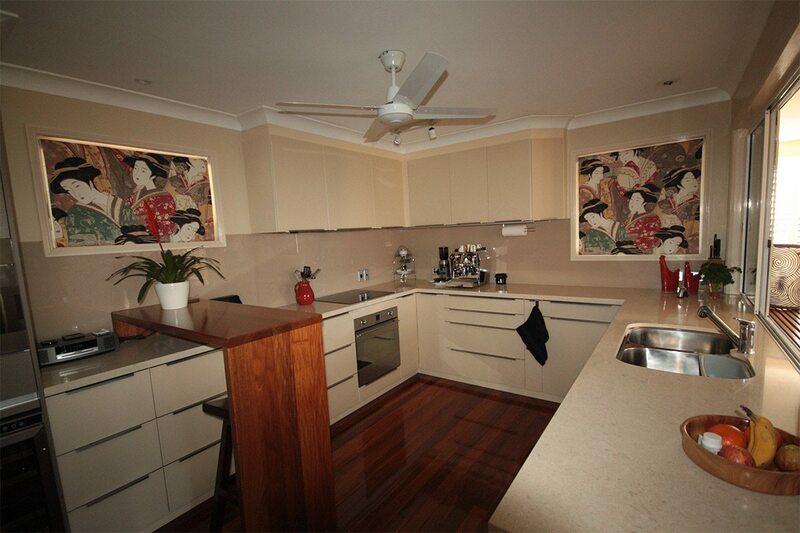 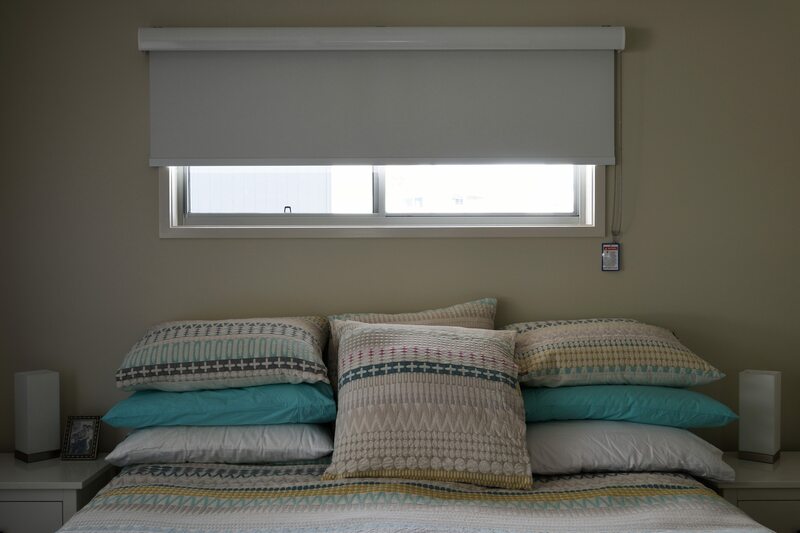 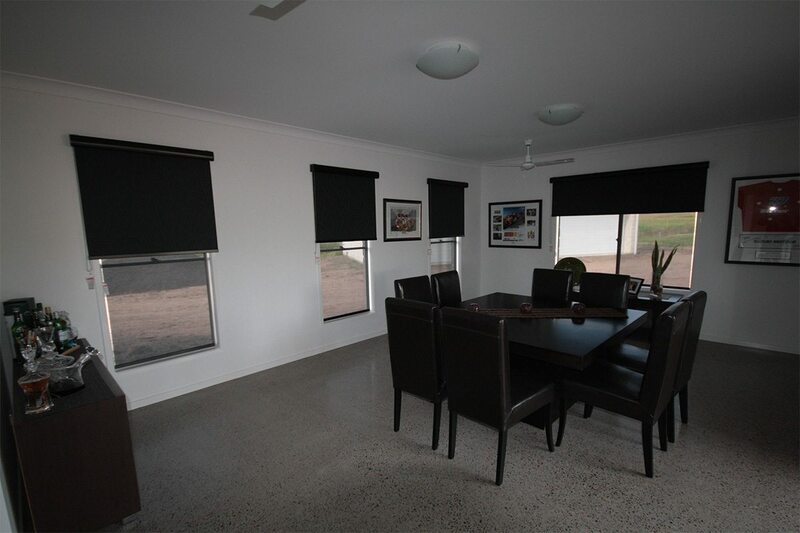 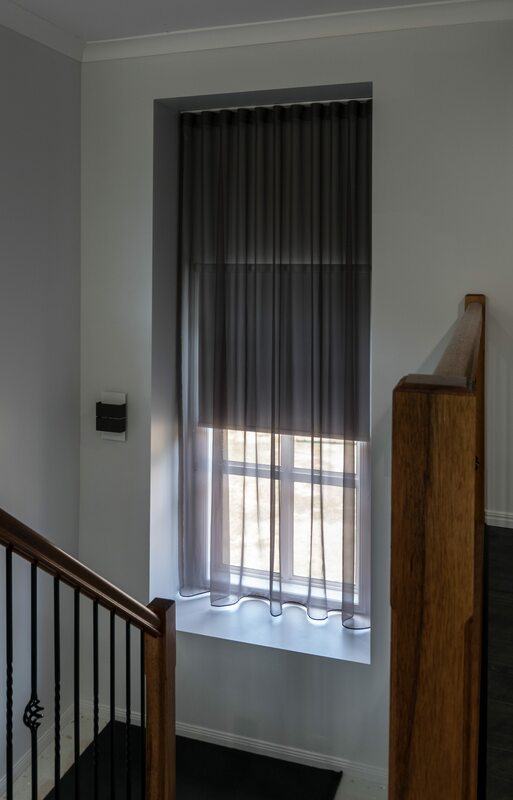 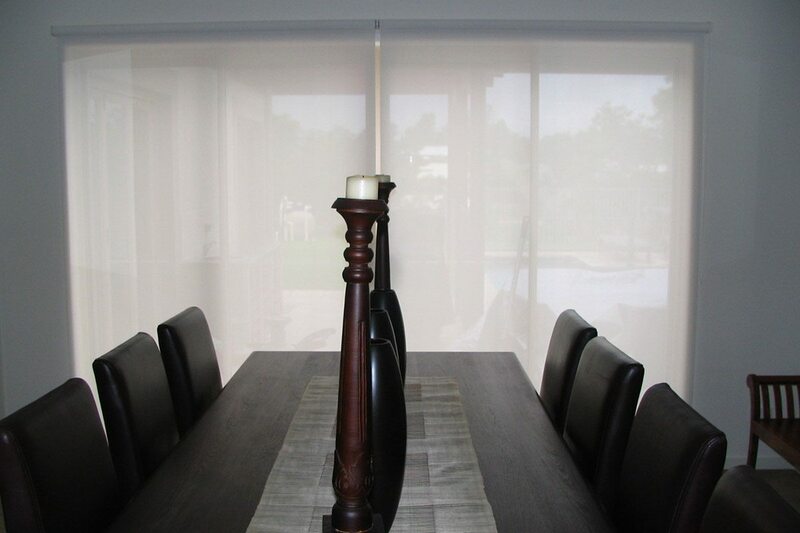 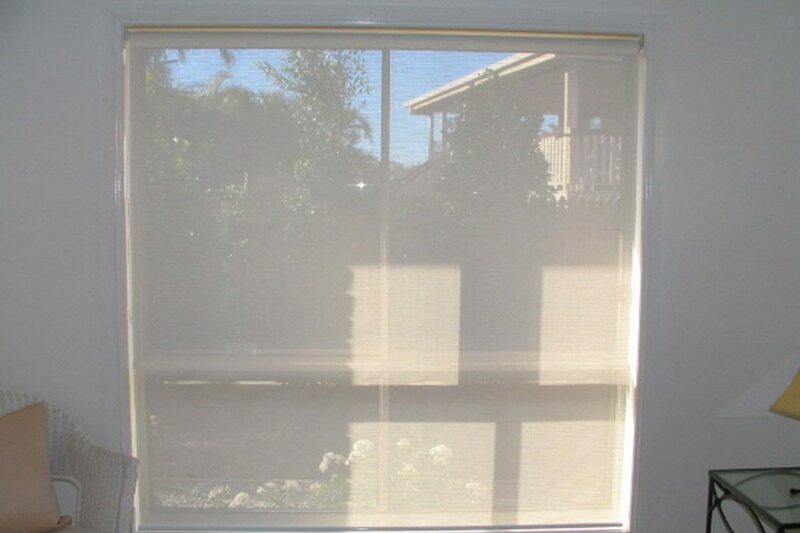 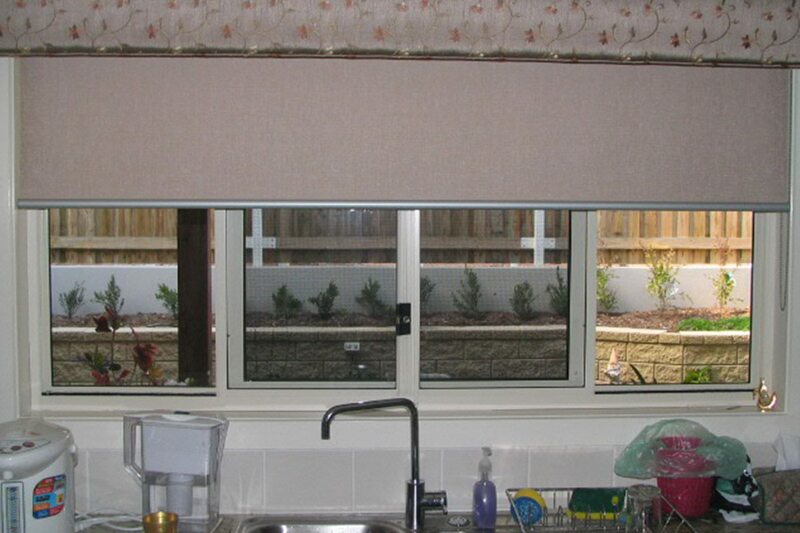 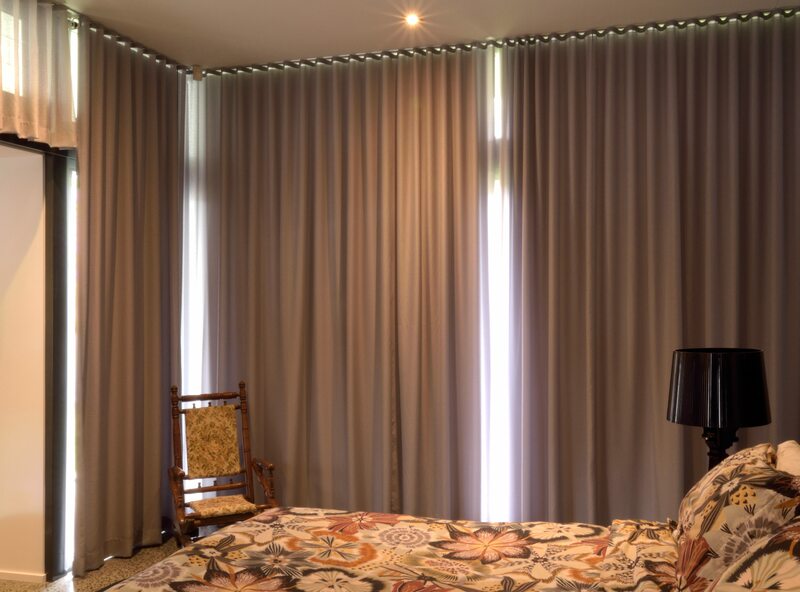 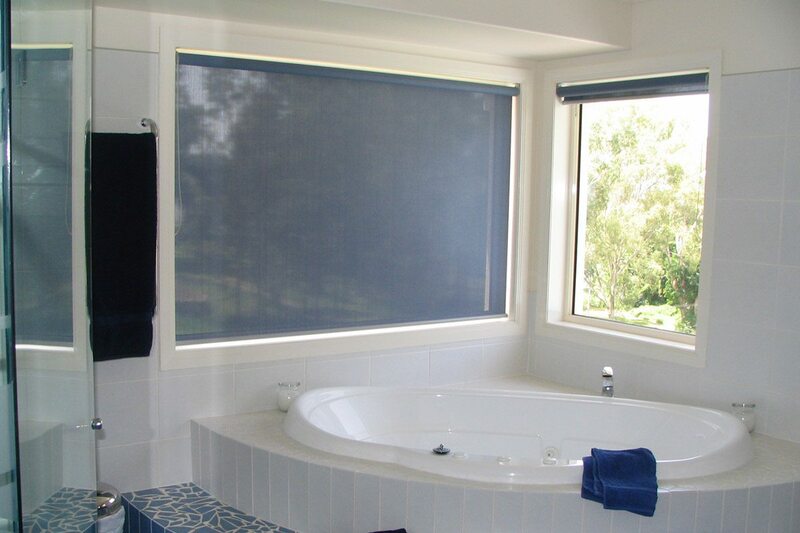 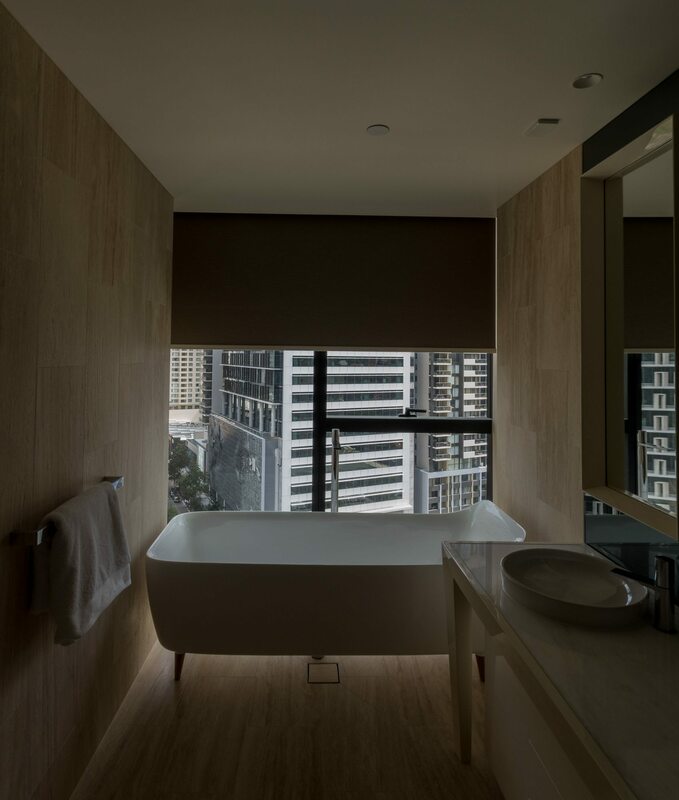 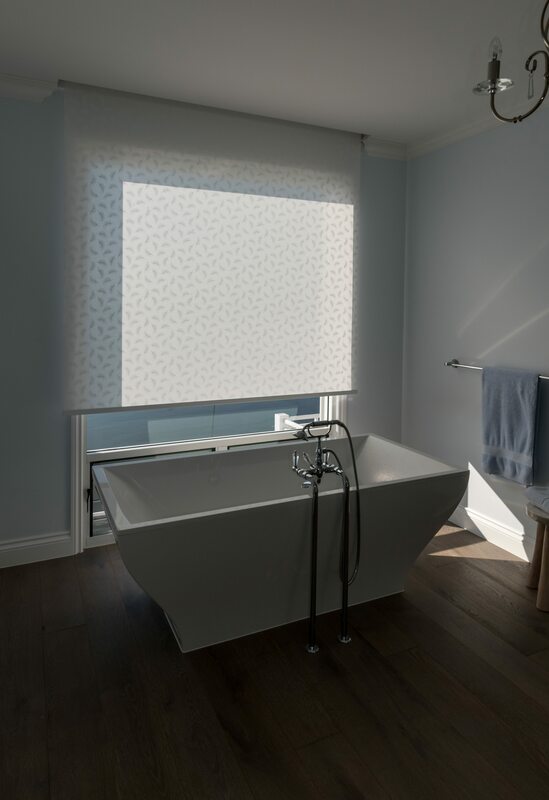 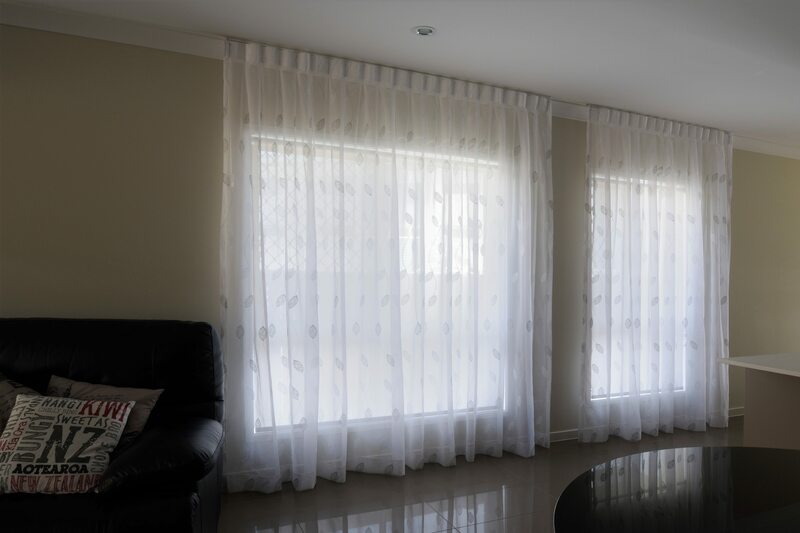 Holland/Roller blinds can cover large areas and still be functional when thoughtfully installed. 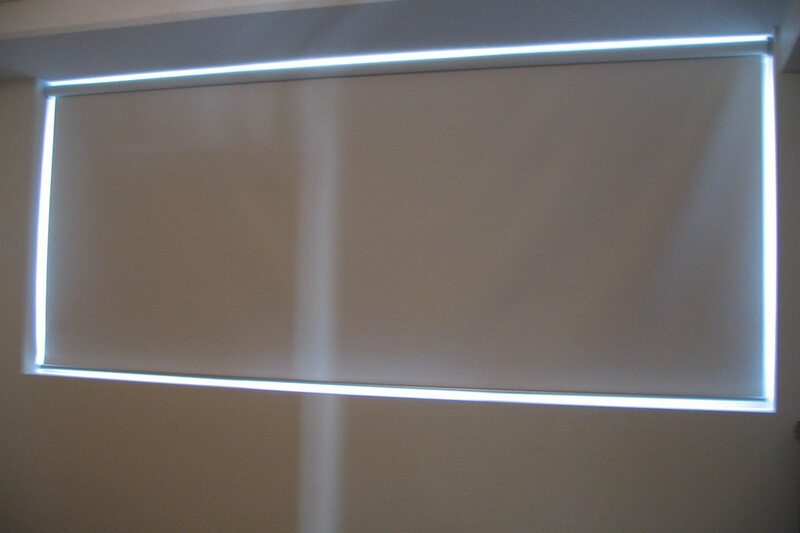 Designer bonded hollands installed into the reveal. 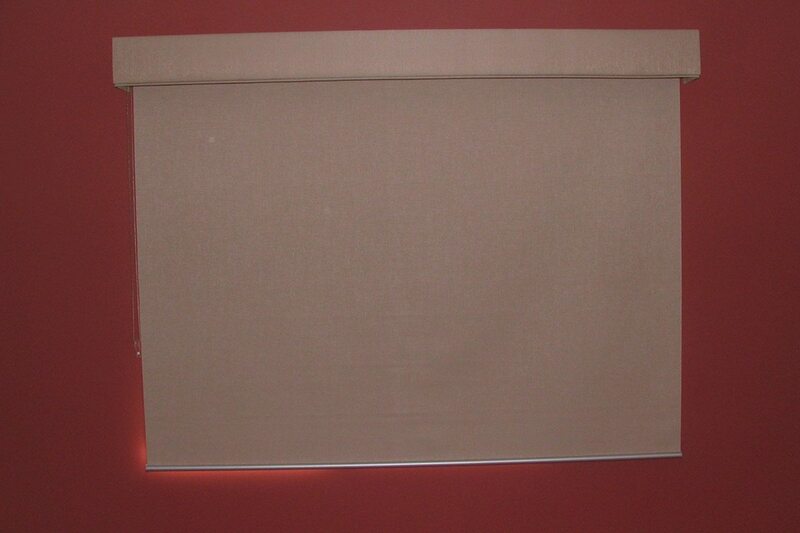 Roller blind installed in the reveal. 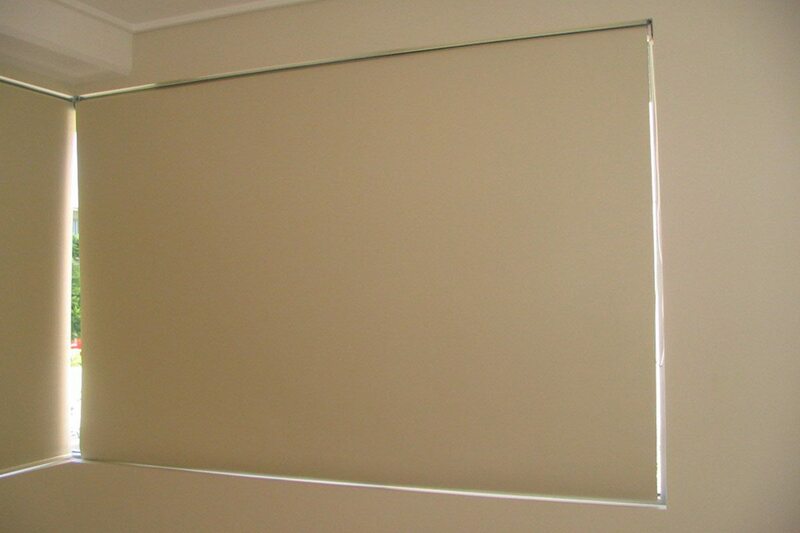 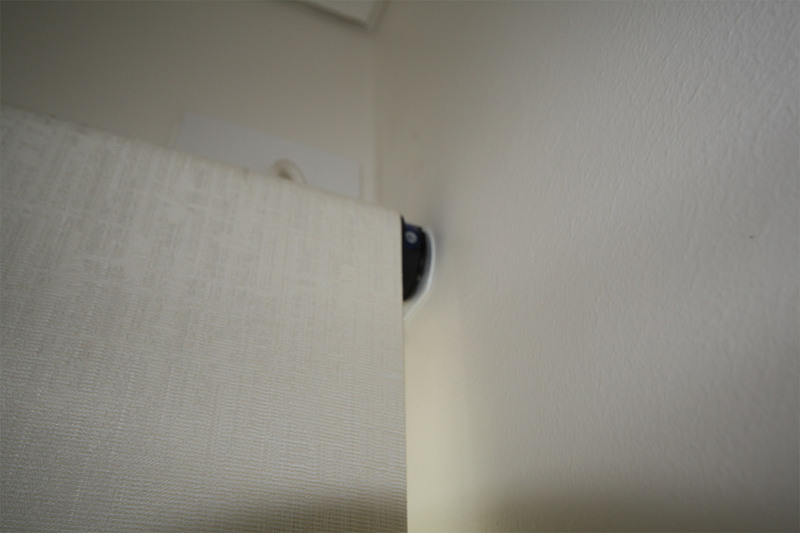 Roller blind installed on the face made from sun control fabric. 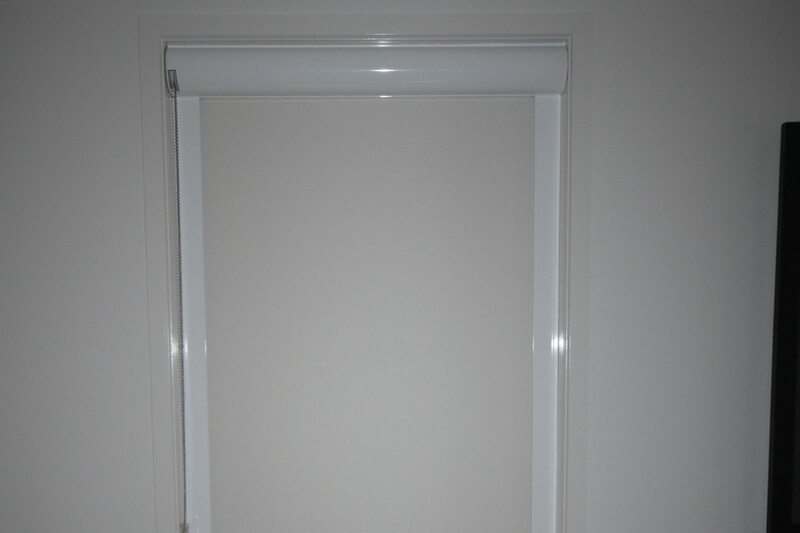 Standard roll roller blind installed in reveal. 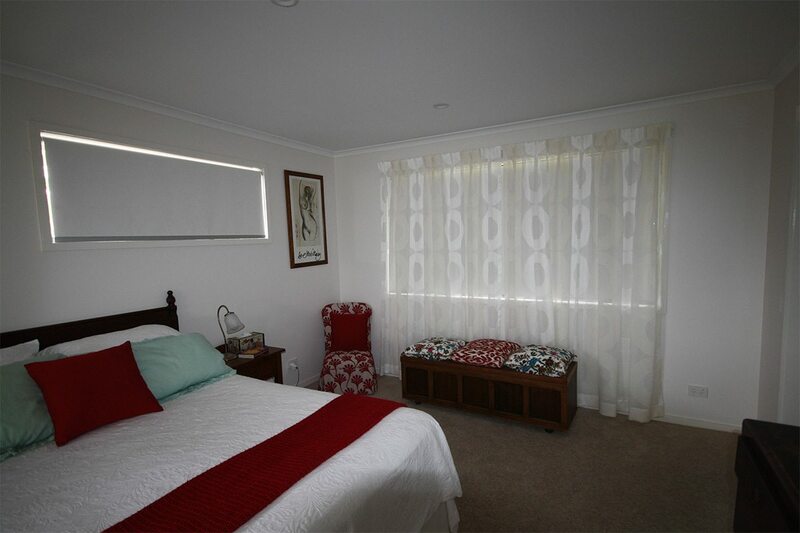 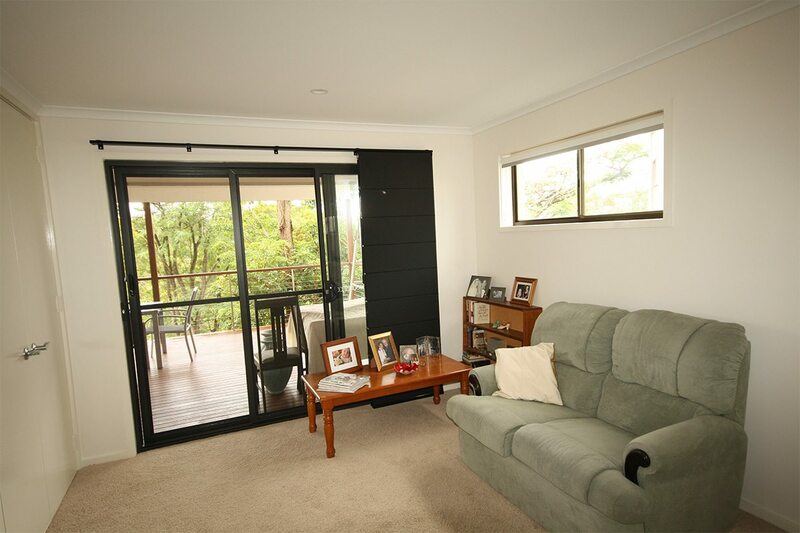 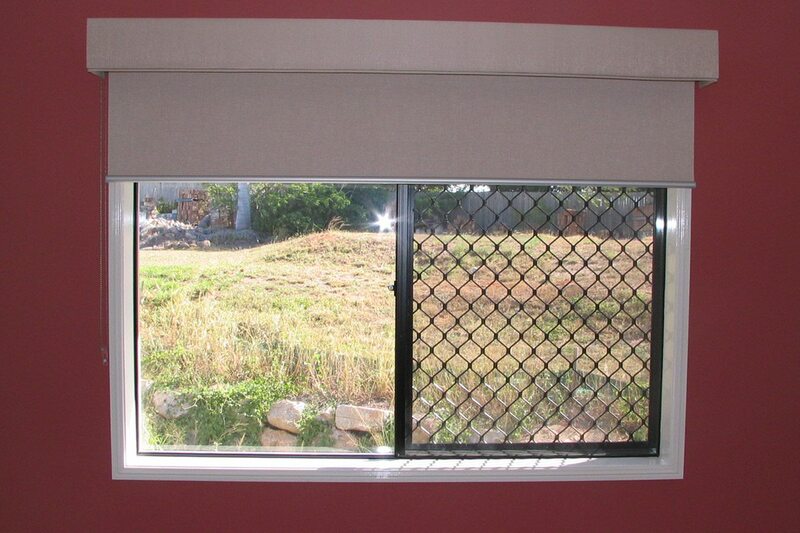 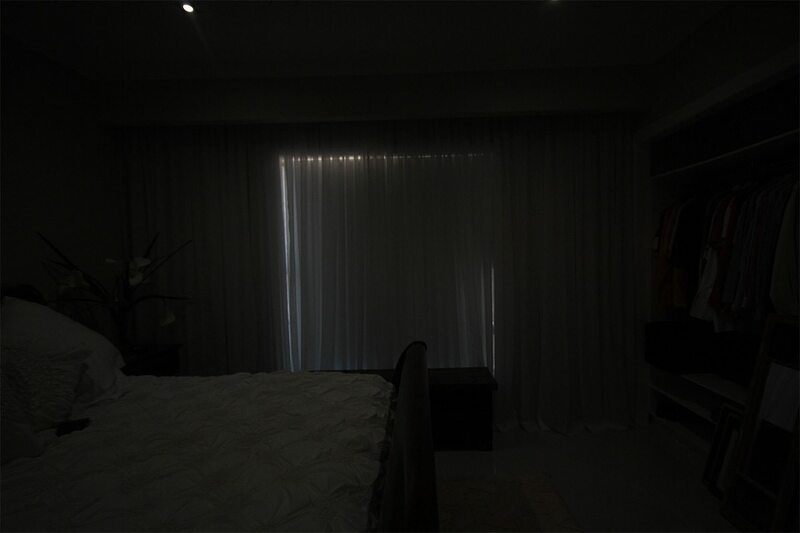 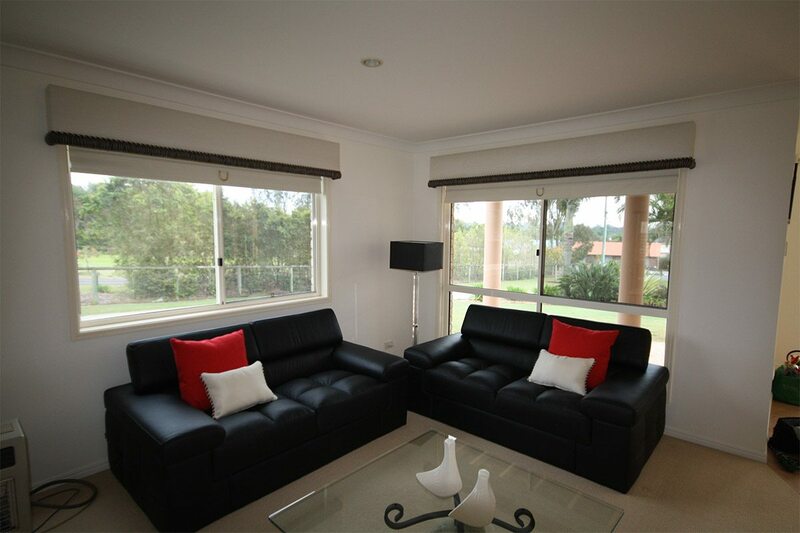 Corner window with reverse roll roller blinds made from transluscent fabric.